This Question and Answer script uses a database to store users and submitted information. This script makes a great stand alone website or can be used as an addition to any website. Visitors can browse questions and answers. Visitors can register and post their own questions or submit answers to questions other members have posted. This script is built to keep visitors and members returning. Visitors and members can report offensive or spam type questions. 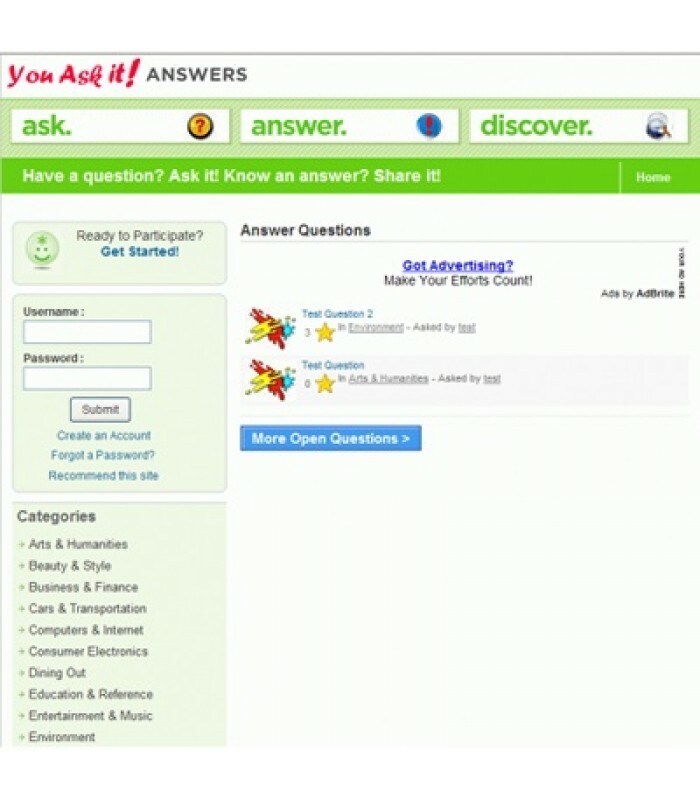 Yahoo Answers Clone Website has google ads built in so all you need to do is add your google id in the configuration file, however, these ad spots can be altered very easily to accomidate for other ad types. As you can see on the demo, I have changed them to adbrite ads.